The PSB6AI is a bookshelf speaker system for the modern age, built from the bottom up to interface naturally with your iPod, iPhone, or other digital music player. The included bookshelf speakers are two-way, equipped with a 4' midwoofer and a 13mm Mylar dome tweeter for solid mids and rich highs. 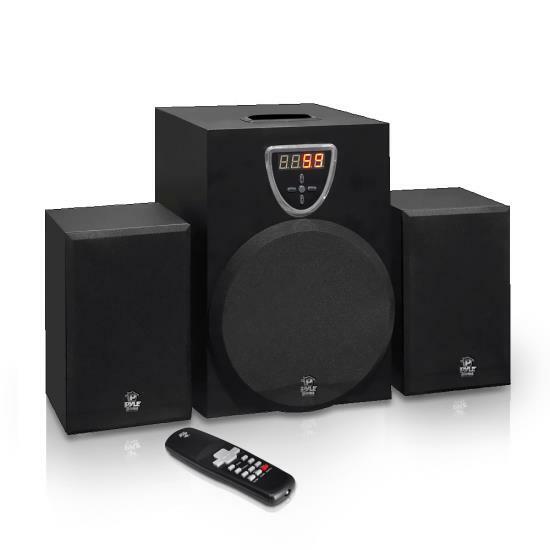 The included subwoofer features a 6.5' speaker powered by an 11 oz. magnet, and doubles as the charging station for your iPhone and iPod. The PSB6AI also has stereo RCA inputs, so you can connect virtually any audio source. A wireless remote control is included, so you can control the music from anywhere in the room.